Book Making: Bookbaby is run by ignorant liars. And their prices are insanely high. Bookbaby is run by ignorant liars. And their prices are insanely high. 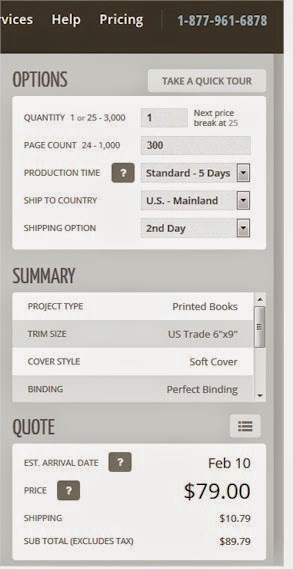 Bookbaby is one of dozens of companies that can format and distribute ebooks. I’d heard good things about BookBaby and I was going to try it for an ebook a few years ago. Then I read: “In about four to six weeks, your eBook is up for sale..." That delay was a deal breaker. Competitors such as eBookit and Amazon's KDP are much, much faster. With some companies, ebooks can be on sale within 24 hours. Portland, OR – BookBaby, the self-publishing powerhouse, announces a game-changing on-demand book printing and distribution service that gives authors and publishers the chance to sell their printed books in dozens of stores and catalogs, including Amazon, Barnes & Noble, and Powell’s, as well as the complete Ingram and Baker & Taylor networks. Combined with BookBaby’s popular eBook distribution services, self-published authors can now place their books in over 100+ online stores and catalogs around the globe. So, what's wrong with Bookbaby? Lots! The screenshot up at the top says that "POD is the best thing to happen to self-publishing since the invention of the eBook." Lightning Source is the largest PODer and has been PODing since 1997. It's possible that other companies started earlier. While some people will claim that the ebook was invented in the 1940s, the market really took off in 2007 with the introduction of the Amazon Kindle. Bookbaby is either ignorant or deceptive in its claim. The company says: "All titles signed up for BookBaby printed book POD distribution must exclusively be distributed through BookBaby. Listing your printed book through multiple distribution networks will cause retailers not to carry your title." That policy is highly restrictive and the warning is a lie. Lots of authors have book distribution through both Lightning Source and CreateSpace, for example. 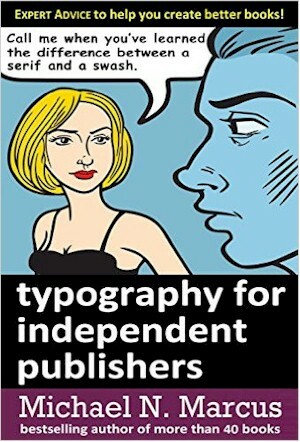 The company says: "Depending on the retail price of your title, and the specs of the book, most titles will generate between 10% -30% royalties." It's easy to make much more money. 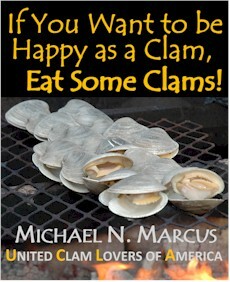 The company says: "Your printed book will be available through the largest distribution network and retail sites." That sentence is inarticulate and probably a dishonest boast. The company says: "Get your ISBN # from BookBaby for only $29." Some competitors provide ISBNs for free! The company says: "BookBaby stands behind its products and services with the strongest guarantees in the publishing business." The guarantee is typical, not special. The company says: "we also deliver the highest-quality custom printed books." There is little or no difference among the books from various POD companies. The company says: "Never fear about overpaying for your printed books again. 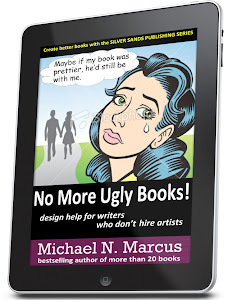 BookBaby now guarantees its prices are the lowest around." Actually, Bookbaby's prices are much, much, much higher than prices from such competitors as Lightning Source, CreateSpace or Lulu. It would be extremely hard to make money if you had to pay $89.79 to have one book printed and shipped. 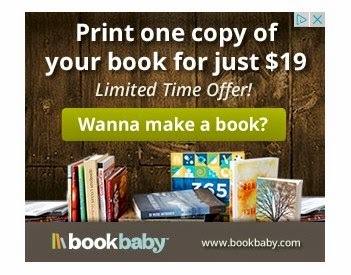 (left) Bookbaby has been advertising a limited-time special deal for one copy of a book for $19. While $19 is better than $88.79, it's still much higher than CreateSpace ($4.45) or Lulu ($7.25). However, the Baby price includes a color interior which may or may not be important to you. Note: you have to prepare your interior and cover files with Bookbaby's own templates -- you can't use a template from another printer. This may mean lots of extra work just to compare Bookbaby with CreateSpace, for example. 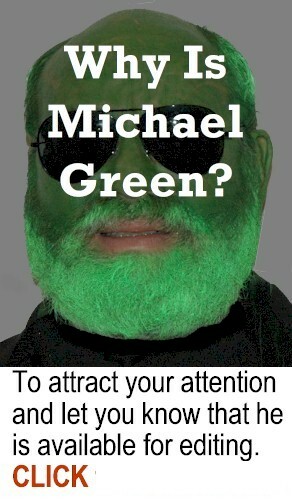 Thanks, Michael, for your point-by-point refutation and explanations of their deceptive ad. Much appreciated as I am about to foray into POD (once I have some money). Also, I LOVE this: "If you present work to the public, you may be criticized. If your feelings get hurt easily, keep your work private. When you seek praise, you risk derision. Either produce pro-quality work by yourself or get help from qualified professionals." I think you'd like my blog, especially some of my recent and upcoming posts that are compatible with this understanding. Wow, definitely a company to beware of. Thank you for exposing! I’m the president of BookBaby. Your post came up in my Google alerts. I thought I should address these directly on your site. 1. Our marketing line: “POD is the best thing to happen to self-publishing since the invention of the eBook” doesn’t say anywhere that we were the first to offer such a program. It was commentary on the technological advances of digital publishing. And it happens to be true. 2. Yes, many authors use both CreateSpace and Ingram because their distribution is complementary, without overlap. Our distribution coverage encompasses all of these networks (plus 100s more.) 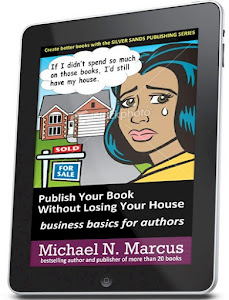 Simply put – you can’t have two listings on Amazon, through CreateSpace and BookBaby POD. So if you choose to use CreateSpace, you cannot use our services. 3. No argument. Most of our authors are looking for maximum exposure and ease in publishing. There is no one-size-fits-all publishing package. We describe our program in explicit terms including their expected royalties, and allow the consumer to decide. 4. It’s not a boast. It’s fact. I invite you to do the research and compare us against any other company. 5. Again, no argument. Other companies bake these costs somewhere else in their services or fees. Six one way; half dozen the other. We don't hide this fact. 6. We haven’t found any competitor with a stronger guarantee. It’s sort of like your local fire company – until you need them, you don’t know how good they are. Bottom line is: if we can’t guarantee it, we won’t sell it. 7. I’m happy to hear that your experiences with POD book quality have been very positive. Many of our customers have expressed otherwise. We are the only POD provider that uses just one facility for all its printing needs – long run, short run and POD. Same paper. Same presses. Same people. This ensures consistent high quality. Ask your POD providers if they do the same. 8. As part of our guarantees, we have a low price promise for our printed books. 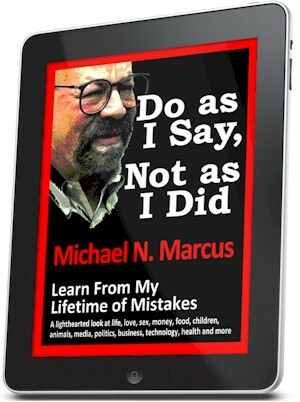 We will match any quote on printed books. 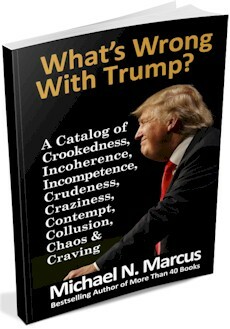 The quotes have to be exactly the same – trim size, binding, paper stock, etc. I invite you to try us out. Please don’t hesitate to call or email if you’d like any more information about BookBaby and its services. We serve a significant population of the self published author community who need our technical skills and distribution reach. That said – our service isn’t for everyone. We applaud people who can perform technical feats such as file conversion and DIY distribution. Most importantly I’m quite proud of the fact that we don’t sell faux services to unsuspecting authors who don’t need such things. I’m sure you know the companies I’m talking about. We provide most everything that self published authors need, and nothing they don’t. I am extremely unhappy with bookbaby. The only time I get paid is if I call and then the next day they put a little money in my account. They say the ebook was distributed to 20 channels and yet they haven't given me an accounting of any sales in most of these channels. Dishonest to the letter. They are taking my royalties and keeping them. 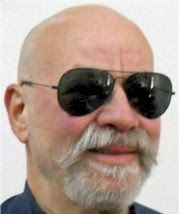 Mr. Spatz: I have used Bookbaby as well as other companies. Bookbaby is the best for my needs. Thank you and your team for an excellent product and outstanding customer service! I'm about to use you again. Looking forward to it. POD existed before ebooks. Try again. Mr. Spatz is correct on several counts here. I tried Bookbaby for my e-book and was not happy with the outcome after several tries. They not only refunded my money to the cent but also gave me credits I plan to use in the near future. I was happy with the customer service though and am pleased that I can call them and talk to a live being with questions and concerns. I hope my printed book experience with them turns out well! Disparagement is fine if true. I stand by my comments, and truth is usually a perfect defense against a charge of libel. 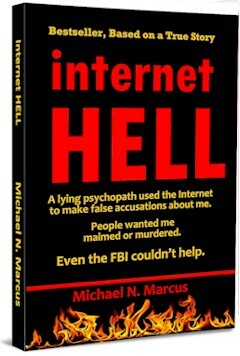 I have pissed off many people and companies since I started this blog in 2008 and have never been sued. I've been sued for other things by several high-priced law firms, but have beaten them, and I'm just an amateur. Lawsuits can be fun. I must say that this was an interesting article; however, I must disagree based on my experience with Bookbaby. They have by far the best customer support that I have ever encountered and I have worked for some of the larger Fortune 500 companies in America and Europe. The print quality of their POD is excellent and this is just my opinion but the opinion of my readers...and when it comes down to selling books it's their opinion that I care about. I had no problems at all getting my ebook posted right away so I'm really not sure what others are complaining about...perhaps they didn't follow directions. As for the cost. I shopped around but they were all relatively the same...some higher for certain things and some higher for other. Your comments are ridiculous, emotional, nit-picky, pointless, and show an abnormal hate and intent to slam Bookbaby. You pull things out of context and seem senseless; you come across as just a hot-head and abrasive. Just the headline repelled me, and the following first few paragraphs didn't redeem the article. 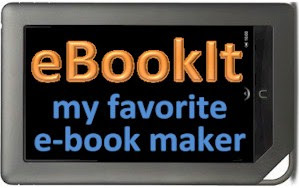 I've used Bookbaby for several projects, print, ebook, and distribution. They've done a fine job. I would advise people to shop prices and quality. Obviously, a short run of 1 book is not economical. Try comparing printing costs of runs of 200 or more. Most printers have various price breaks. I hope readers don't take your comments seriously and actually compare Bookbaby with other services. They perform as they specify. Their quality is professional. I've had no complaint. If they cost too much for a print job, I compare with other services. Tessy -- I stand by everything I said. My words are neither ridiculous nor pointless. I have no abnormal hate for Bookbaby. I have normal dislike for inept, dishonest, overpriced businesses. If you are satisfied with BB it's OK with me. This review couldn't be more inaccurate. Give BookBaby a try. Trust me you won't be disappointed! What's inaccurate? Why should anyone trust you? Why are you hiding your identity? I must admit, I have been disappointed. 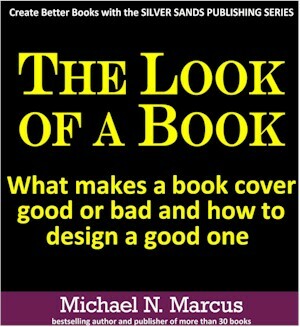 The book covers are basic, they do the minimum, whether you go for deluxe or not. The editing, again, was good but very, very short. The main thing is, they charge for everything they can, at any given opportunity. The staff are clearly underpaid and miserable, if not unqualified. Do not use. Also - beware! They closely monitor sites like Trustpilot and systematically fight to remove negative reviews. Something of a mafia. Do not use! I have been very satisfied with BookBaby. They have been helpful and have answered all of my questions. The quality of my printed book is quite good. I am starting a 2nd book and plan to use them again. 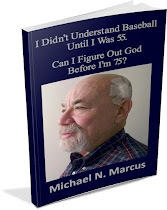 I have not yet decided whether to use BookBaby for distribution, but I did have them print a copy of my book, and the quality vastly outshines the quality from CreateSpace and Lightning Source. No comparison. 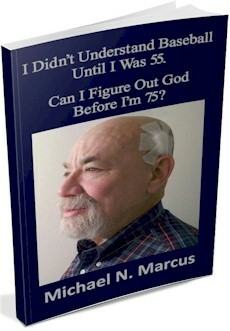 I publish my books on a very limited budget. For print books, I use Createspace because it’s totally free. Yes, I know your royalty percentage is not good with their “Expanded Distribution”, but honestly, 90% of my sales come from Amazon anyway, so it’s not a big deal. 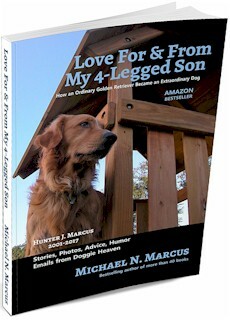 For eBooks, I use First Edition Design Publishing. For just $149.00, they do everything for you. 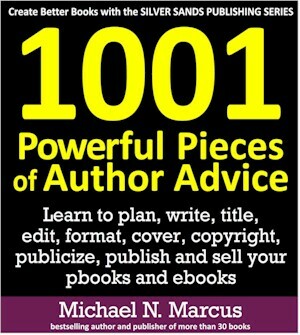 All you do is submit a MS Word file, and they will convert your eBook into all applicable formats: EPub, etc. They also provide a free ISBN, and have worldwide distribution; not just a handful of distribution channels. Royalties are 96.75% of the net, as they only take a nominal 4.25%. Payment is made through PayPal. They do not pressure you into services you don’t want, and their customer service is great. 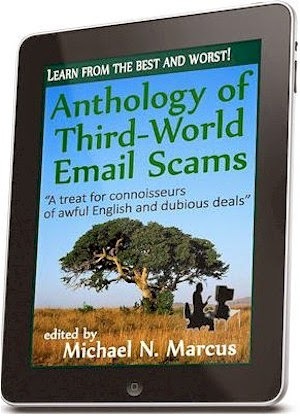 If you’re looking for an inexpensive way to distribute your eBook, try checking them out. BookBaby is absolutely fantastic to work with and the quality of their work is the best out there and I've shopped around. 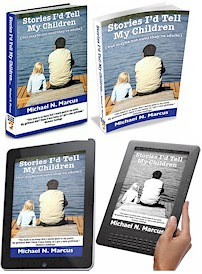 I get my books in Google Play, iBooks, Amazon, and all the other big and small stores around the world. Can't beat it IMO. Book Baby is terrific. Absolutely terrific. So user friendly, and communicative. Zero problems. I call, they answer and respond to everything I've asked for. Couldn't be happier. But I've had problems with 2 other companies I used. (No I won't trash them here) I have to wonder if the person who started this website is simply trying to cut BookBaby down as competitor. Now that's something else to beware of.